Chinese New Year is an event of Chinese Culture. Chinese New Year 2019 celebrates the Year of the Pig with good food and great family time. Chinese New Year is celebrated globally, with most major capital cities around the world observing the festival in one way or another, often holding street parades with live music, dragon dancers, and firecrackers. 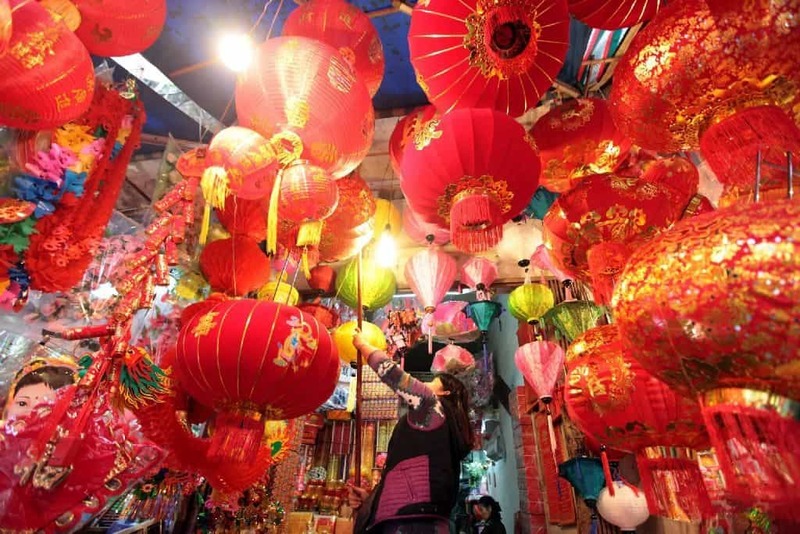 For those living in China – as well as many other parts of Southeast Asia – Chinese New Year almost brings the country to a standstill, with the festival officially lasting for up to 15 days. Other destinations with significant Chinese populations such as Thailand, Vietnam, Hong Kong, Singapore, Malaysia and Indonesia are also known to observe the holiday, albeit on a far smaller scale than mainland China. So, you’ve probably seen (and heard) all the New Year action before, but what exactly is the reason for all the sights, sounds and smells? Well, legend has it that every New Year in China, a mythical beast (called ‘Nien’) would destroy villagers’ homes, eat their livestock and even take their children. Warning of the creature, food would be offered in front of homes and firecrackers let off to frighten the monster away – thus the tradition continues today on the streets around the world. 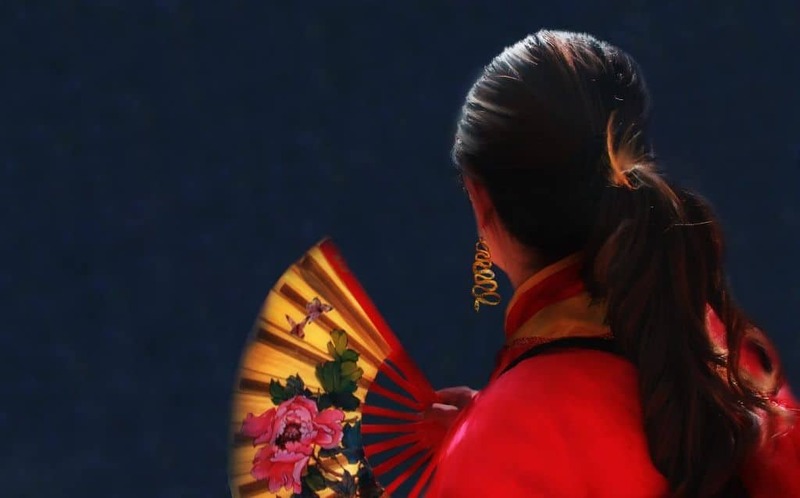 Unlike the more familiar (and slightly less confusing) Gregorian calendar, Chinese years follow the cycle of the moon, meaning that the New Year’s Day falls on a different day each year. Chinese New Year festivities kick-off on the eve before the first new full moon of the year, and finishes on the fifteenth day of the first month. The Chinese new year is set to start on the 5th of February and will be the year of the ‘pig’. In Thailand, it’s no surprise that the best place to go to witness the county’s Chinese New Year celebrations is in Chinatown. The district is around the bustling ‘Yaowarat’ Road in the Old City area. Every year, the road grinds to a halt for two or three days around New Year, welcoming colorful street parades, including dragon dancers, lively music, noisy firecrackers and plenty of exotic street food vendors selling tasty treats to both locals and foreign visitors. Thailand has a significant Chinese-Thai community, and much of the country’s population have parents or grandparents formerly of Chinese descent. As well as Bangkok, other major cities around the country hold special events marking Chinese New Year, such as mini-festivals in temples, special shopping promotions and families come together for large meals. Unlike in China where three days are set aside for a public holiday, offices, businesses and banks in Thailand operate as usual – although it’s typical for Thai-Chinese workers to book a day or two off work so they can join in the fun! Other than Yaowarat Road, head to Leng Noei Temple on Charoen Krung Street, which is one of the best places in Thailand to experience the festivities. This Chinese temple is famous all year round with both Chinese, Thais and tourists, but it is on New Year’s Day when it’s at its most vibrant, with worshipers coming to pay their respects to the deities above, as well as tourists coming to take photos and soak up the culture. The temple is decked out in tradition red decorations, and the waft of incense in the air is even more potent than usual. The tradition is to light up one of the incense sticks, kneel in front of one of the deities, and make a wish for good fortune for the coming New Year. This annual celebration is officially 15 days. Most of the festivities in China are for a more reasonable seven-days period, sometimes referred to as the ‘Golden Week’. This period kicks off on New Year’s Eve. Families across China clean and decorate their houses in bright colors (for good luck and to ward off evil spirits). To symbolize wealth and prosperity, families feast on dumplings, fish, and other home-cooked favorites, all before heading to the local temple at midnight to pray for good luck and success during the coming year. 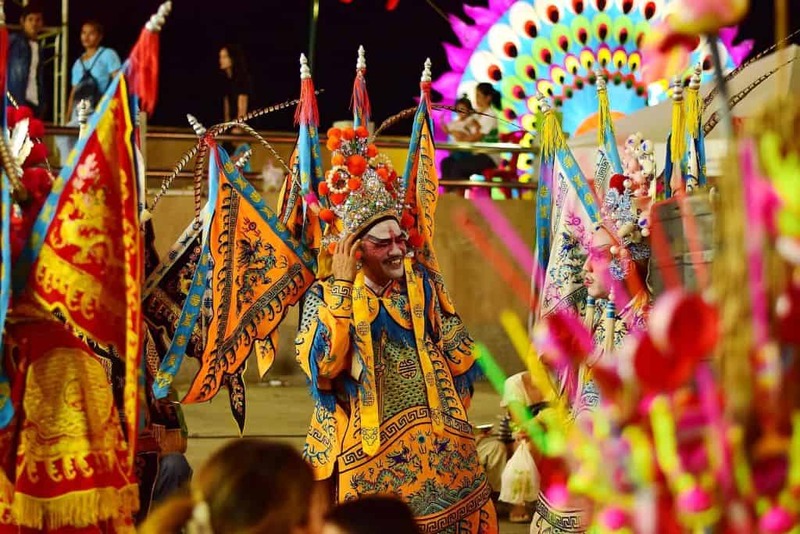 The rest of the week features massive street parades, firework shows, dragon dance performances, family reunions and further visits to temples. The liveliest cities to catch the New Year action are inevitably the biggest ones, such as Beijing, Shanghai, Chongqing and Tianjin. 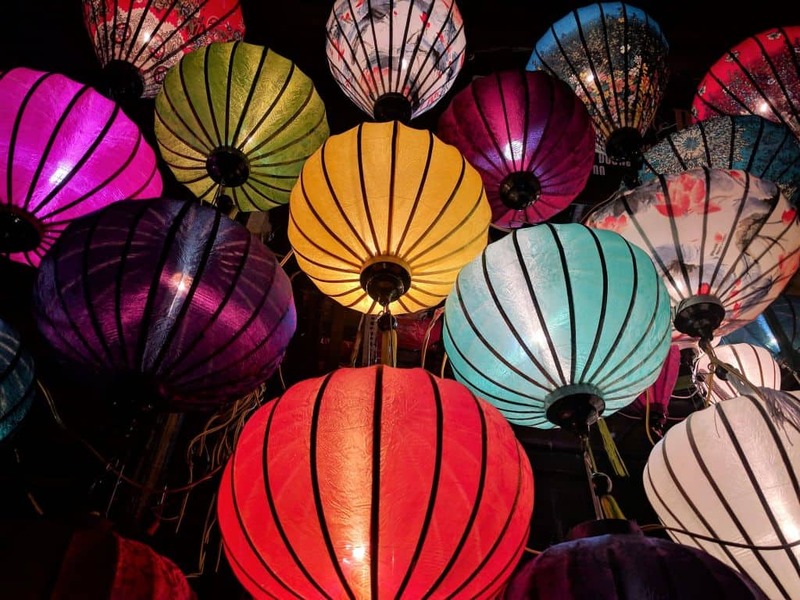 The Chinese lunar new year is also celebrated across Asia under different names, for example, in Vietnam, the festival – which falls on precisely the same day as Chinese New Year – is known as ‘Tet’, and sees villagers around the country come together for parades and ancient rituals. Activities here include rice cooking competitions in traditional bamboo boats up and down the country, as well as a famous two-day dance show in the northern Sapa region. Elsewhere across Asia, Hong Kong marks the event with a flower festival, street parades and enormous firework display over Victoria Harbor on the final night, while Singapore’s Chinatown district illuminates in dazzling red lanterns for 15 days. Malaysia’s significant Chinese population similarly observe the New Year in a similar fashion to mainland China, with families coming together for reunion meals on New Year’s Eve, before parades, dances, and firework shows bring proceedings to an end (slightly earlier than in China) on the third day. The best place to witness Chinese New year in Malaysia is in the capital, Kuala Lumpur, while different Chinatown districts across other cities in Malaysia (such as Penang and Malacca) are just as fun.